Katy Perry attends the 2019 iHeartRadio Music Awards which broadcasted live on FOX at Microsoft Theater on March 14, 2019 in Los Angeles, California. 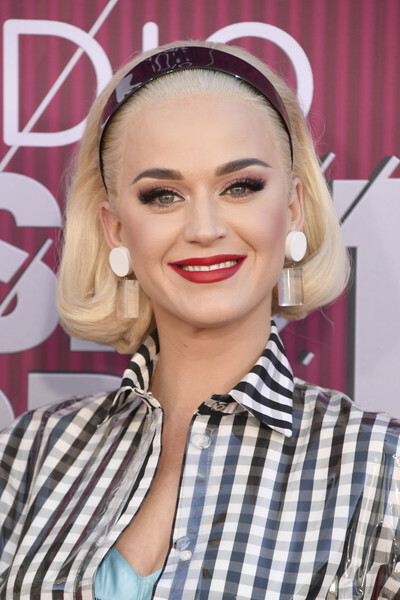 Katy Perry gave us 'Pleasantville' vibes with her perfectly styled bob at the 2019 iHeartRadio Music Awards. Katy Perry swiped on some red lipstick for a pop of color to her black-and-white look.